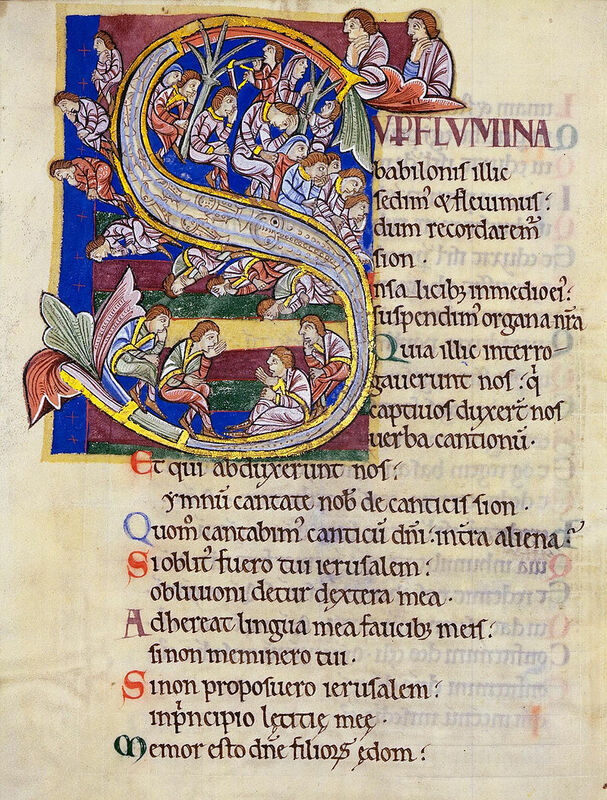 Last week, I presented a summary of the principles for the ordering of images in psalters, such as those that might have been produced in the Gothic period. This week, I want to consider how we might illuminate the psalms and the Divine Office today. I will be referring to some of the principles articulated last week without going into detail, so you may need to refer back to that original article from time to time. You can read it here. My purpose in writing this is to encourage the praying of the psalms and the Divine Office fruitfully. 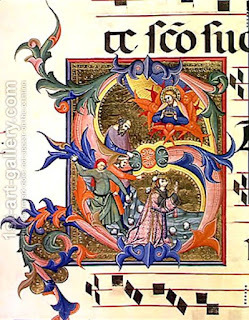 It is not primarily to reestablish the tradition of sacred art for psalters, but because I believe that sacred art is necessary for the most fruitful encounter with the Word, whether it be at the Mass or the Divine Office. There is one obvious problem. Most people today can’t read it. Beautiful though it is, it would not be an aid to prayer for most people because they have no idea what the words means, are unfamiliar with the calligraphic style of writing. Even if it were in the vernacular, people would struggle to decipher it, and likely wouldn’t want to try. It might be possible to adapt this idea, though. I think that the style of some of the images from this period does connect with people today, so those images that relate to the general themes of salvation history, themes which are contained within the psalms, could be reproduced and put into, say, an English- or Spanish-language psalter, with an attractive but readable typeface. We could begin by using reproductions of great art from the past that we feel are most likely to connect with people today, and use these as the foundation for an artistic tradition that develops organically from this point on, so as to speak to people today powerfully. This is same approach to re-establishing the traditions of liturgical art in general that I have suggested in the past. In regard to which psalters to choose, my suggestion for a starting place is the art of Englishman Matthew Paris and the 13th-century School of St Albans, as we see in the Westminster Psalter. I have found that people respond well to this style when praying, and when I teach this style in art workshops, students seem to understand it so naturally that the quality of the art they produce is high. Sacred art of this type is designed to communicate in a single visual statement a story or an idea that might take a lot of text to articulate in words. It this sense, it is in a visual poetic statement that tells the story in one moment of looking, that is, to those who know what they are seeing. Through this, the artist can add to the story through the beauty of the work, which tells aspects of the mystery that are beyond words. 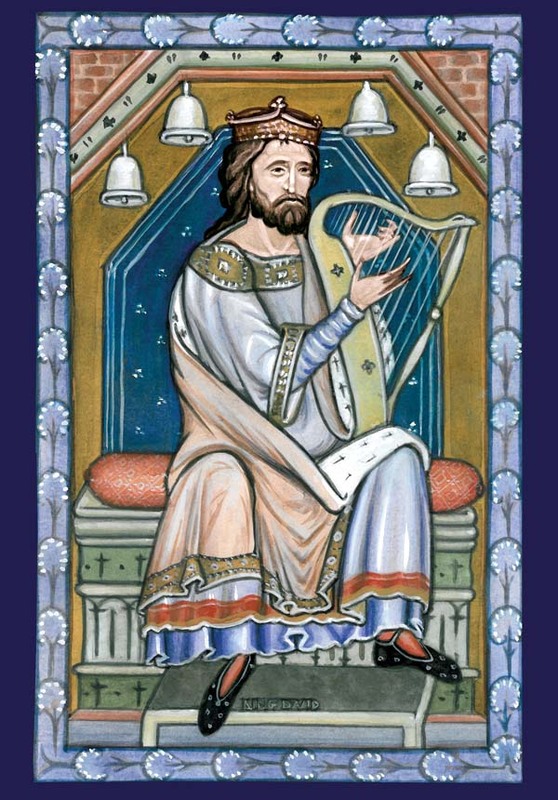 While people can pick up what it is telling us intuitively, and they can certainly enjoy it and be drawn into what it reveals through its beauty, it would still help if there was catechesis available on the meaning of the psalms, salvation history, the study of scripture, and how traditional sacred art and symbolism encapsulates these truths. This form of instruction is the mystagogical/liturgical catechesis, rooted in scripture, that has been asked for by recent Popes, and like so many other such requests, seems to be largely ignored. I would say that it should be included in the general education of every Catholic as a matter of absolute priority. It should be there at the start and the finish. It is surprising to me, for example, how little emphasis on the study of scripture, the greatest book, we see in some Catholic Great Books programs. Realistically, however, this is not going to happen soon, but given that the liturgy itself is the best vehicle for catechesis, our newly designed psalter can contain this catechesis too. There can be explanations to support the images, supplied in some detail in supporting text sidebars. Keywords and references to connected scripture from elsewhere can be placed by the artist in the painting itself. It has always been part of the tradition to name key figures, and for a festal icon, to write the name of the feast day on the icon. This is part of the tradition that should be reestablished today and perhaps, with judgment, extended slightly. Many people today pray the office via smartphones, using, for example, Universalis.com or prayer.covert.org. It might be possible to have the option of accessing an appropriate image through a tap or a stroke of the screen and then with a further action seeing its accompanying explanation. After the question of what images we would have, the next is, Where do we put them? This is where I might use a different approach to the psalters of the past. It has to be useable to the modern reader. I would not take the route of commissioning a new “retro” psalter along the lines of the St John’s Bible Project. 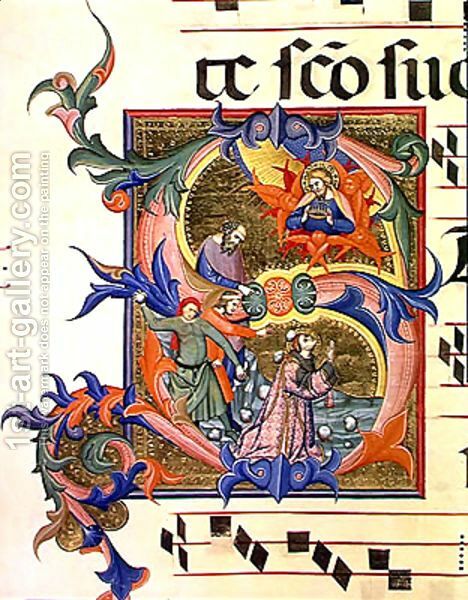 This was the project commissioned in 1998, in which the text of the Gospel was written by an expert calligrapher, and master artists who worked in traditional styles (sometimes with a deliberate modern twist). For all the value that this might have had artistically, I am not convinced that it encouraged many to read the Bible because it was large and unwieldy, and therefore difficult to read. I would aim for a high-standard mass-produced psalter as described, in which the placement of paintings within the pages is changed for the modern reader too. 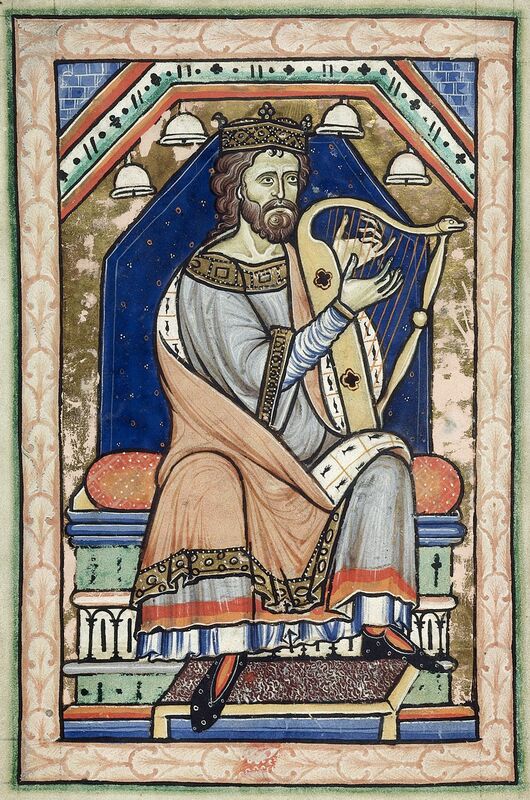 To explain: many of the images in the Gothic psalters were placed in particular places in the psalter for practical reasons that don’t apply today. They were used, for example as bookmarks, to help people locate a particular psalm. We don’t need whole pages devoted to an image in order to create a bookmark nowadays, because we use page numbers to find a psalm, and this works much better. I would retain the broad-themed images at the start of the book, such as King David to represent the psalms as a whole, and some incidental illustrations within the book itself. Many of these generally themed images which relate salvation history to the mysteries of the Faith are the same as those that are the basis of the icon corner and of the liturgical art in the church (and which are described in my book, co-written with Leila Lawler, called The Little Oratory). 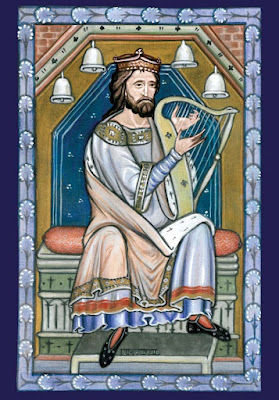 The following image of King David was painted for that book and was based on an original which is found in the Westminster Psalter. Because the smartphone has a small screen, photographic images of large paintings reduced in size drastically, say from 3 feet to 3 inches, will lose much valuable detail. The best images for such a medium will be those painted small (like those of Matthew Paris, incidentally) or designed deliberately for reproduction on the device. If artists paint art intended for social media and smartphones, they could also take into account in a positive way the changes in color, clarity and transmitted detail that occur in an electronic reproduction, so that their effectiveness is optimized. This represents an opportunity for the contemporary artists; art that is good and reproduces well on smartphones and social media is more likely to attract attention. Furthermore, the placement of images should be considered in conjunction with the particular way that the psalms are prayed, so as to encourage actual engagement with them. 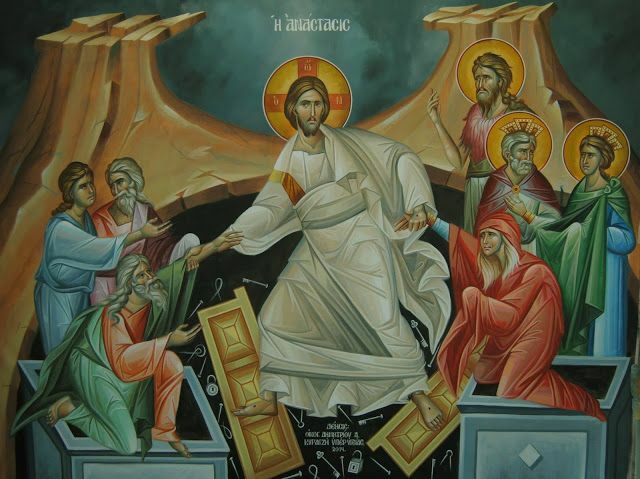 As part of the ritual of praying the Office, we can pause after the opening versicles, look at the images, and venerate them with a kiss (if in a book) or a bow, and with incensing if we are at the icon corner or church. We could develop the same habit during the Glory Be. Perhaps the day will come when the person who studies and kisses his smartphone in church is not someone who is hooked on technology, but the pious man praying the Office well! 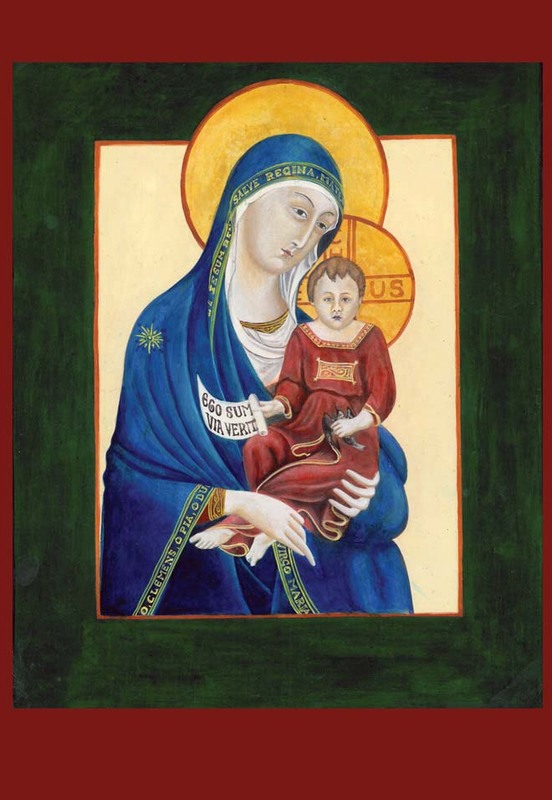 A similar ritual can be established for the repeated texts, such as the Gospel canticles: Magnificat, when we can venerate an icon of Mary, or if we have one, an image of the Annunciation; for the Benedictus, any image of John the Baptist would be good, and for the Nunc Dimittis, the Presentation or of Mary presenting her son to us, (which would be the Simeon’s-eye view of the scene!). One would like to think that there is a place for them today. It would serve as a theme that summarizes a particular psalm, providing a moment’s reflection; or could it perhaps be presented as the equivalent of a visual antiphon? You never know, it might happen, but I’m not holding my breath. Remember, all of these are built into the Latin text, and it would be a lot of work to create the art to have every psalms like this today for the vernacular psalter which, realistically, will be the choice of most people.